Gold plate on pewter. Late sixteenth century, Spanish. 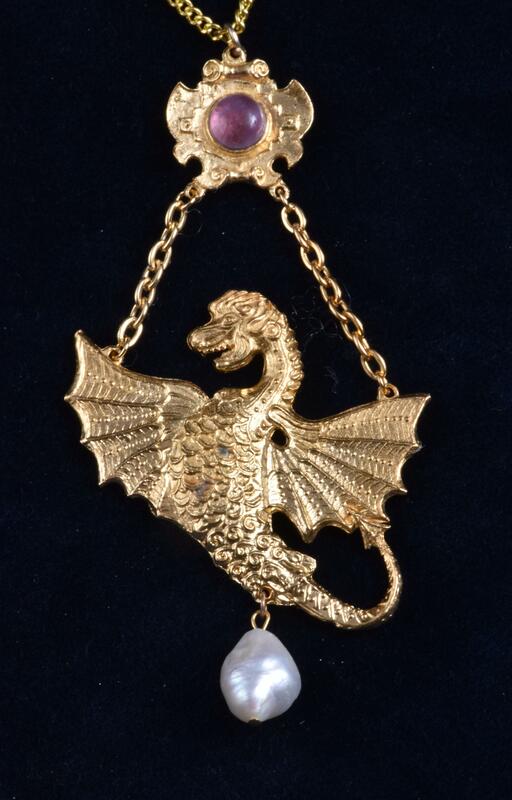 The dragon hangs on stainless steel chains, from a crest that bears an amathyst cabochon. Now featuring a very large freshwater pearl, unlike the one illustrated. This pendant is supplied with a gold plated chain.